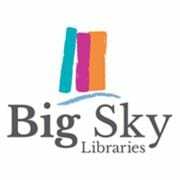 “Big Sky Library” is the new name and brand for the old “North West Slopes and Plains Library Co-operative”, a partnership between Moree, Walgett and Brewarrina Shire Councils. 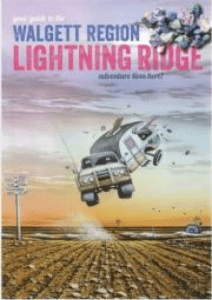 The Walgett library operates at, 88 Fox Street, Walgett and the Lightning Ridge operates at 53 Pandora Street Lightning Ridge. Did you know you can temporarily join the library “on-line”? Did you know you can borrow e-books and e-magazines on-line and down load them at tome on your I-phone or I-pad? Once your a member you don’t even have to come into the library, you just need access to WI-FI. Did you know that once you have borrowed a book you can renew the loan “on-line” and save yourself a trip to the library? Did you know you can order a book from one of our “Big Sky Library” members and it can be sent from another site to the Brewarrina Library, ready for you to pick up and read. The new website has a facility called “know what to read next” – with a little bit of information from you and will make recommendations on what books you may enjoy reading next? Please note that children under the age of 12 must be accompanied by an adult, all membership forms for children must be signed by an adult in the presence of Library Staff. We encourage bulk borrowing from pre-schools, aged care facilities and welcome community groups to the library for activities. Please Contact Library For More Details.